Situational awareness: Wind farms don't cause cancer, contra President Trump's claim earlier this week. A new peer-reviewed study quantifies how much more nuclear power the public might support if "dread" melted away and opinions were more consistent with actual risk. The short answer? A lot. Why it matters: The novel analysis, published in the journal Energy Policy, comes amid heightened urgency around "deep decarbonization" of power systems to help keep temperature rise in check. What they did: Researchers conducted surveys that asked respondents to build a hypothetical low-carbon power portfolio that cuts emissions by 50% in 2050. They were given information about emissions and health risks from different technologies. Half the respondents were given labels for the various options: wind; coal; solar; coal with carbon capture; natural gas; and nuclear. The other half were given risk data but without knowing which generation type it was about. What they found: Respondents who were given labels included significantly less nuclear power in their chosen generation mix, researchers with Carnegie Mellon University and the University of California-San Diego found. "Our results suggest that dread about nuclear power leads respondents to choose 40% less nuclear generation in 2050 than they would have chosen in the absence of this dread," they write. Absent this "dread," the paper states, the respondents might support what amounts to 40 additional large nuclear reactors worth of power in 2050, with nuclear providing over 25% of U.S. generation at that time. Where it stands: Right now nuclear power — which does not emit CO2 — provides a little under a fifth of nationwide generation, but even maintaining that share decades in the future would require a mix of delayed retirements and new projects. Efforts to build new U.S. reactors have largely stalled, and a number of existing units are slated for retirement in coming years. The Energy Department's statistical arm currently projects that nuclear's share will fall to 12% in 2050. What's next: The paper argues that the nuclear industry's emphasis on the improved safety of newer reactor designs isn't enough to overcome dread — it needs more effective engagement and communication. The authors also warn that public opposition that's out of step with risk could hinder deployment of carbon capture and storage absent effective public engagement. What they're saying: Co-author Parth Vaishnav said the findings matter because it's important to ensure that "no options get taken off the table" when it comes to decarbonizing the power mix. 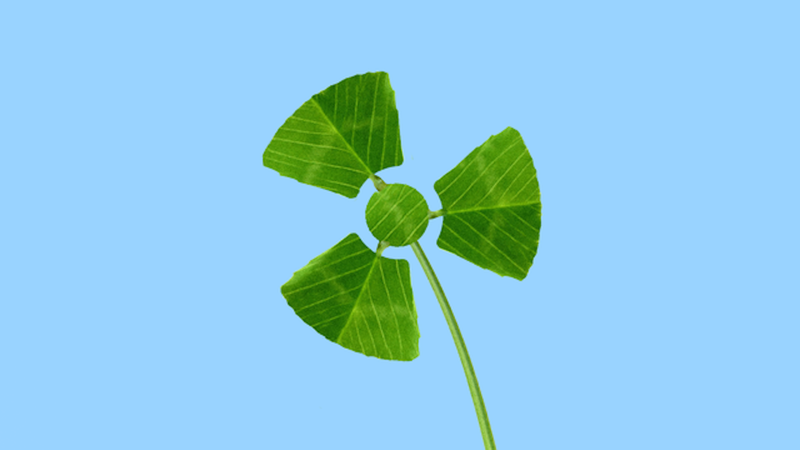 Our thought bubble: Right now, public fears aren't what's ailing nuclear. The biggest headwinds are huge costs for new reactors and competition from cheap natural gas and renewables. Vaishnav, however, said nuclear would become more attractive if there was a price on carbon emissions. “Nuclear cuts greenhouse gases and the economics improve when you properly account for that fact," he told me. Tesla's stock fell as much as 8% in pre-market trading after the electric automaker reported a big drop in first-quarter deliveries last night. Driving the news: Tesla said it delivered 63,000 cars, less than the 76,000 analysts expected, and 30% fewer cars than the prior quarter, Axios' Courtenay Brown reports. By the numbers: That tally included roughly 50,900 deliveries of the Model 3 sedan, a more mass-market product that's crucial to the company's future, compared to 61,394 the prior quarter. Production of its Model 3, S and X models — which came in at 77,100 vehicles, more than the fourth quarter — outpaced deliveries, the company said, thanks to longer transit times to customers in Europe and China. What's next: Tesla warned that "lower than expected delivery volumes and several pricing adjustments," would hurt the company's profits — expected to be released next month. CEO Elon Musk already dialed back expectations that Tesla would turn a profit in the first quarter. What they're saying via Bloomberg: RBC's Capital Markets' Joseph Spak said in a note that the combined 12,100 Model S and X deliveries were the lowest since the third quarter of 2015. He and others sized up the effect of Tesla hitting the per-manufacturer cap on the federal $7,500 consumer tax credit for EV purchases. “To us, this signals that the tax subsidy cut in the US was a significant hit to these premium vehicles and/or Model 3 is having a bigger cannibalization impact," he writes. But, but, but: Morningstar Research Services analyst David Whiston said the Model 3 delivery numbers "should bounce back in Q2 if the transition challenges to delivering in Europe and China are behind them," according to The Wall Street Journal. A Michigan State University academic has put together data that makes the climate change case for shifting freight movement from heavy trucks and planes to rail. Why it matters: Transportation has overtaken power generation as the largest source of U.S. greenhouse gas emissions. Andreas Hoffrichter, writing in The Conversation, says the "quickest way" to cut those emissions is more travel and goods movement by rail. By the numbers: The chart above shows rail's emissions edge. In 2016, rail accounted for 32% of U.S. freight movement but 6% of greenhouse gas emissions from moving goods around and has far lower energy usage. Where it stands: Hoffrichter's piece makes the case for more passenger travel and freight movement by rail, but notes it will require government investment, especially on the passenger rail side. He also sees several pathways for making railways less carbon-intensive via improvements to diesel engine technology, use of natural gas, more battery systems deployment on relatively short routes and more. Oil-and-gas giant Total on Thursday announced a joint venture with the Tianneng Group, a Chinese battery maker, to expand production in China. Why it matters: It's the latest sign of oil majors' deepening forays into energy storage tech with vehicle and power grid applications. And oil giants — including Shell, BP and Total — are moving into electric vehicle-related businesses more widely with investments in EV charging companies, battery startups and more. Driving the news: Total said its battery subsidiary Saft, which it acquired in 2016, will have a 40% share of the lithium-ion battery partnership with Tianneng. Electric bikes, electric vehicles and power storage are all target markets, they said. They did not provide information on the deal's value. What they're saying: Total CEO Patrick Pouyanné said in a statement that the move will give Saft "access to China’s booming battery market as well as highly-competitive mass production capacity to accelerate its growth." "This is a first strategic move driven by Total, following the acquisition of Saft in 2016, to grow Saft's activity in China, the world’s largest renewables market, as well as in the [energy storage solutions] segment as an essential component to the large scale development of intermittent renewable energies," he said. Axios Expert Voices contributor Sarah E. Hunt explores a proposal from a group of scientists and engineers for a sprawling "energy park" along the U.S.-Mexico border made of wind turbines, desalination plants, solar panels and gas pipelines. The big picture: An energy corridor could offer the benefits of a secured physical barrier, since the infrastructure would be well protected, while also creating job opportunities for both migrants and U.S. workers. It has some potential for bipartisan appeal. Where it stands: The group's plan was delivered to Congress last month, though it's unclear whether it will be incorporated into any legislation. How it works: The proposal — from 29 academics at universities across the U.S. — calls for $1.1 billion in taxpayer funding to start, but total costs have not been defined. It envisions public-private partnerships to attract private investment from energy companies and manufacturers during the construction phase, and later for operation. Supporters argue that the economic and environmental benefits would far outweigh the costs, providing stable and well-paying job opportunities for migrants and clean energy for generations. Yes, but: Many challenges would need to be addressed, including the total public cost, security standards and potential risks like bribes offered to employees by drug traffickers. The bottom line: An energy corridor could strengthen U.S.–Latin America ties while improving border and energy security. Sarah E. Hunt is the co-founder and CEO of Joseph Rainey Center for Public Policy. It’s a level of political and moral irresponsibility that is unparalleled, except for a couple of wars that shouldn’t have been fought. This is very serious business. People are going to die because of decisions made and not made. Who said it: Former Secretary of State John Kerry. The context: Kerry, in an interview with Axios' Amy Harder, is attacking President Trump's moves on climate change, including withdrawal from the Paris climate agreement. What's next: Amy reports that Kerry, along with former Secretary of Defense Chuck Hagel, will testify before a House panel next week about the national security implications of climate change.